Euro is still being corrected. We think, today price may fall down to reach level of 1.3635 and then start new ascending structure towards level of 1.3724. Later, in our opinion, instrument may return to level of 1.3650 to test it from above and then start moving upwards to reach local target at level of 1.3790. Pound is still moving upwards; right now market is consolidating. 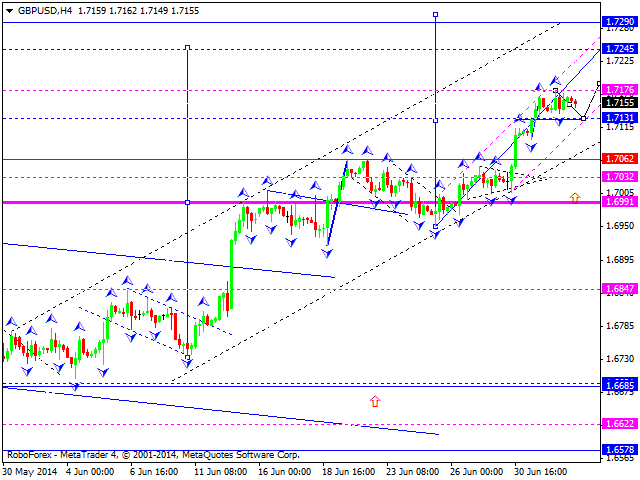 We think, today price may continue growing up to reach level of 1.7245. We remind you that current ascending trend is heading towards level of 1.7730 and pair may grow up and consolidate only until it reaches this target. Franc is still being corrected. We think, today price may test level of 0.8905 from below and then form another descending structure towards level of 0.8850. Later, in our opinion, instrument may return to level of 0.8900 again and then continue falling down towards local target at level of 0.8794. 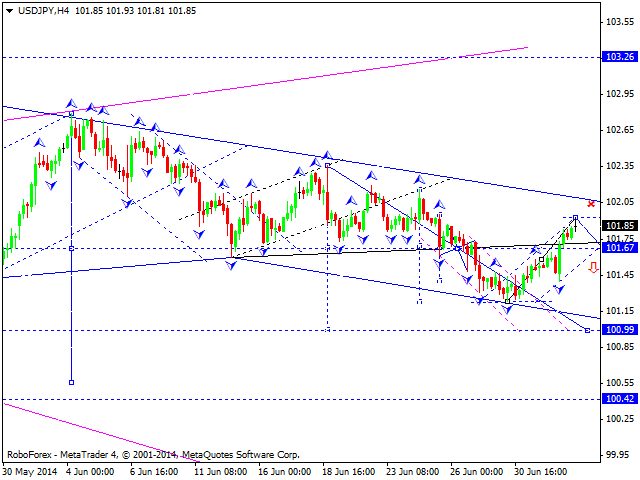 Yen reached targets of its ascending wave. We think, today price may consolidate and then form reversal pattern to continue falling down to reach level of 101.00. Later, in our opinion, instrument may return to level of 101.70 again. 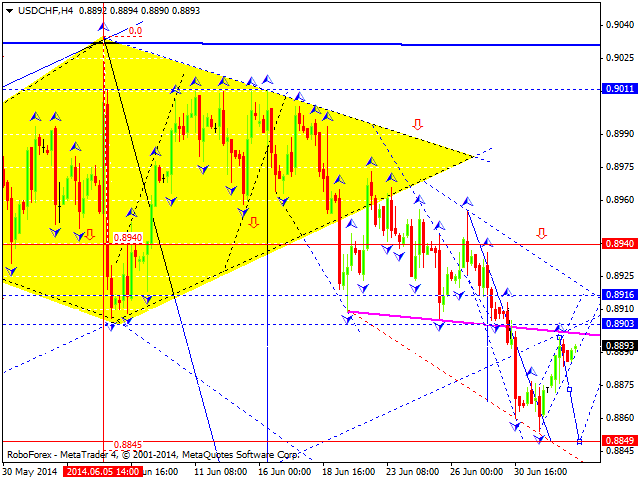 Australian Dollar is forming its first descending impulse. 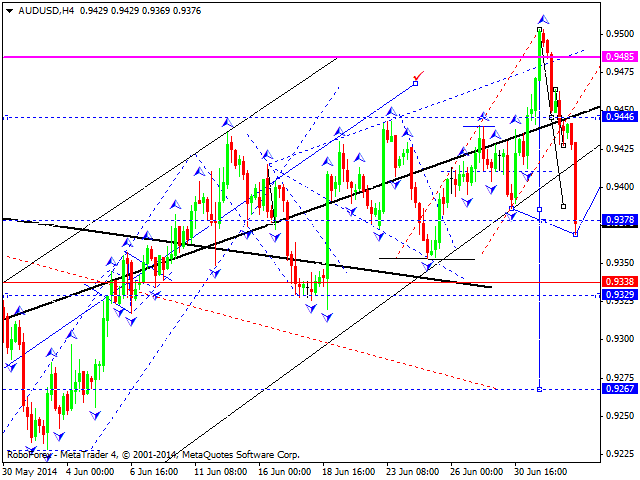 We think, today price may return to level of 0.9445 and then continues falling down to reach target of the fourth wave at level of 0.9270. Ruble is forming its fourth correctional structure. Main scenario suggests that pair is growing up to reach level of 35.00; price may form continuation pattern at current levels and move upwards to reach above-mentioned target. Alternative scenario implies that pair may form classic five-wave structure, which falls down towards level of 33.92 at first, grows up to level of 34.70, then falls down again towards level of 34.31, and finally, completes this wave by moving upwards and reaching level of 35.00. 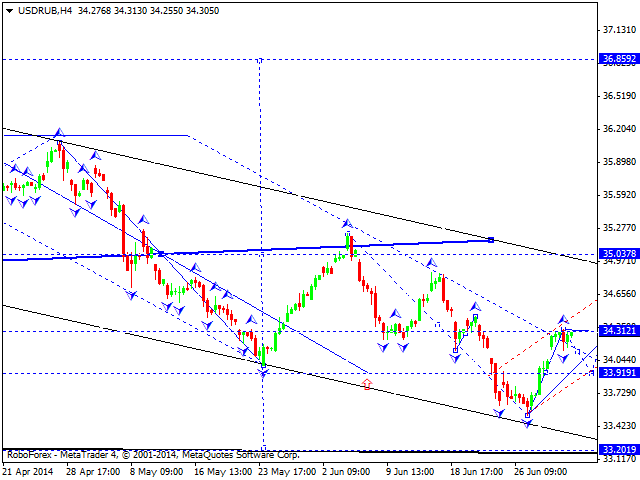 Later, in our opinion, instrument may form the fifth wave with target at level of 33.20. 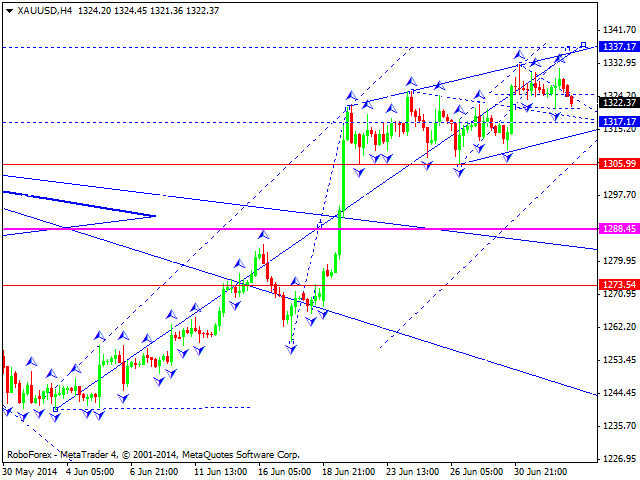 Gold is still consolidating near its highs. 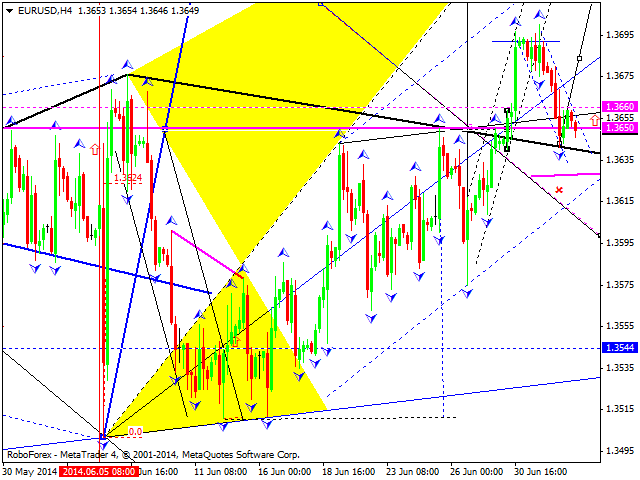 We think, today price may move upwards to reach level of 1338. Later, in our opinion, instrument may form reversal pattern and continue falling down towards level of 1208.